Baltimore is packed with history, thriving with local culture and filled with destinations you can’t miss. 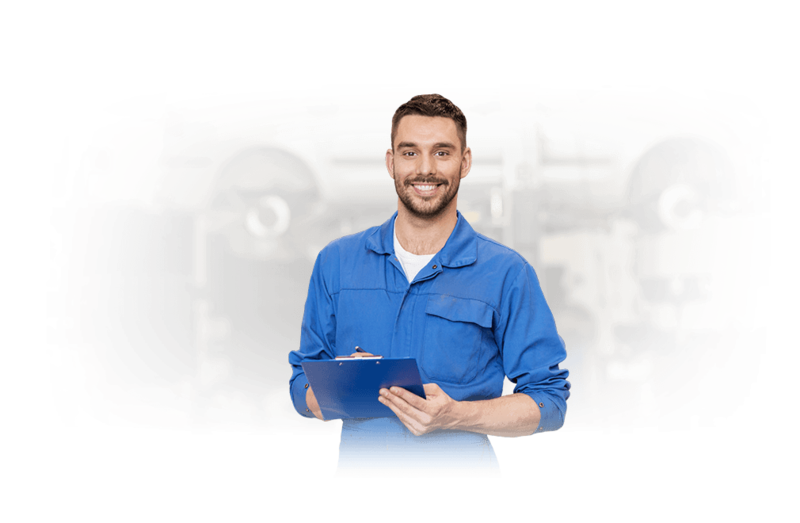 If you’re driving through Baltimore—or if you live in the city—unexpected breakdowns or car trouble can be disastrous. If you’re facing a totaled, scrap vehicle, don’t worry. DamagedCars.com is here to help. Unlike other Baltimore junk car buyers, we make it easy to find out what your car is worth and sell it quickly. We buy cars online, and we’ve created the perfect system to make sure you’re getting the money you deserve. 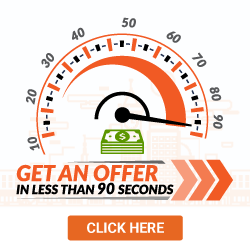 Get your FREE 90-second online offer today! DamagedCars.com buys highly damaged cars within 24 to 48 hours. By targeting damaged cars, we guarantee our Baltimore drivers are never left without options. 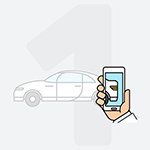 Simply search for your vehicle, get an offer and let us pick it up! We’ll even tow your vehicle for free, leaving more money in your pocket. We buy junk cars other dealerships turn away. Because we’ve spent years gauging, buying and picking up salvage cars, we’ve carefully crafted the secure, intuitive system our Baltimore residents love. Getting cash for cars in Baltimore has never been easier. Once you’ve gotten your quote, we’ll arrive within 48 hours to buy your vehicle. Once we arrive, you only need your keys and vehicle title. If you have your vehicle’s registration and bill of sale, the process will go a little quicker. Just make sure you remove your car’s license plate. Then, we take any damages into account. Don’t worry; we’re dedicated to giving our sellers the money they deserve. Your car’s leather seats, antique inclusions, frame and components are worth something. We’ll compare your vehicle to those in our expansive database. Then, we’ll make an offer. We buy cars online at incredible prices. When you sell to DamagedCars.com, you’re selling to a highly trained team of professionals. We have integrity, and we want to make sure our drivers have options when money is tight. Don’t pay for a tow truck. Don’t waste time—and cash—going to local junkyards. Sidestep the process, get an offer and let us take care of the rest. Did you know Baltimore is home to the first umbrella factory? It’s also home to the world’s first dental school—which was founded in 1840. If you’re driving though Baltimore, or if you’re on a weekend exploration—make sure you check out some of it’s hottest tourist attractions. So, what do you think? Are you ready to get the deal you’ve always dreamed of? 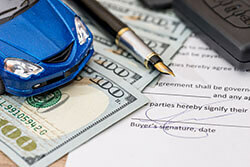 We’ll make sure your Maryland vehicle title transfer goes smoothly. Once you’ve removed your car’s license plate, we’ll take care of the rest. We’ve accepted many deals in our day. So, even if you’re worried about not landing a sale, we can help. 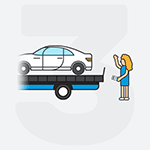 If you’re ready to get a quote, get paid and get a free towing job, get a quote today! Or, contact one of our providers with any questions. What should you know before selling to a junkyard or private buyers in Baltimore, MD?